​LifeSchool Study Groups are a series of groups offered each year in two semesters that focus on biblical studies and Christian life applications. The January 2019 LifeSchool Semester is now open! 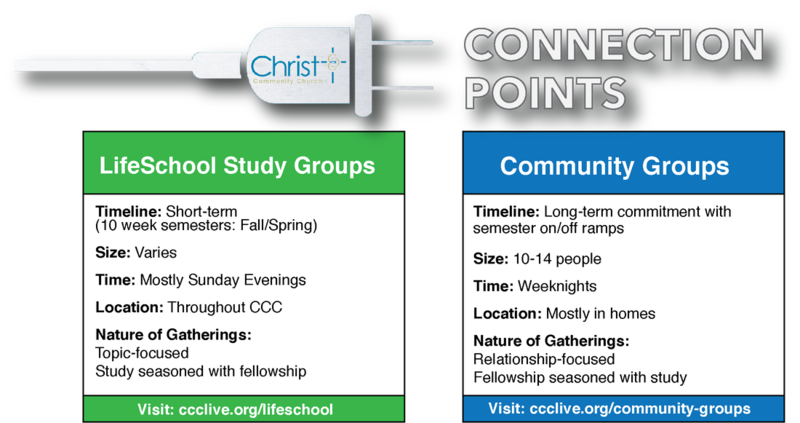 ​ For general information on LifeSchool Study Groups, contact Anja Staten. Monday, Wednesday & Friday, 10 a.m.
Bring your yoga mat and join others in stretching and strengthening our muscles and joints using yoga postures and worship music. This class focuses on Christian prayer and does not incorporate yoga philosophy. We will meet during Thanksgiving and Christmas! More than 30 years ago, Jesus taught DeeDee Stephens and her friends about what it means to walk in love (Eph. 5:1-2). During good and bad times, God trained DeeDee through the scriptures and gave her practical lessons that she compiled into a book. Join other women in a walk through our everyday lives as Jesus calls us to transform our homes and relationships from conflict to peace, chaos to contentment, and worry to joy. Sundays, 4 - 5 :30 p.m. Porter Memorial Church 90 40th Street, Columbus, GA. If you are interested in the study of the second coming of Christ, His reign, and how we should live in light of these truths, this study is for you. This course also touches upon the kingdom of God, biblical prophecy, the end times, last things, death, resurrection, judgment, heaven, the New Jerusalem, hell, and the eternal state. This group encourages men to “Live Up” to their God-given potential and calling. Each meeting includes large-group teaching and small-group discussion, all designed to keep the ManSchool community growing together in their walk with Christ and each other. Coffee and light breakfast foods provided. Doris and a group of her friends have been studying the book of Romans. They have finished that and will begin a Bible centric study of various topics. Do you have questions about the Bible or the Christian life? Grab your Bible (any translation) and come join this group to learn and grow together. This is an ongoing group that meets in Doris' home. Participants can join at any time. Please contact Doris for address (706-341-6272). Christians and cultists alike can experience legalism, spiritual abuse, and the wounding effect of bad doctrine. This course takes you through the maze of dysfunctional religion by looking at dynamics and systems defined by the characteristics of legalism, spiritual abuse and mind control. CCC's Pursuit Student Ministries, for youth in grades 6 through 12, exists to awaken ordinary students to extraordinary life in Christ-centered community. ​Pursuit meets every Wednesday from 6-8:30 p.m. This six week study group will explore the meaning and application of “biblical justice” in today’s world. Together we will look at the life and teachings of Jesus as it applies to justice and loving our neighbors as ourselves. The study is based on Timothy Keller’s book, Generous Justice, and will follow the study guide, Conversations in Justice (these resources are not required for purchase to participate in the study group). Celebrate Recovery is a biblical program that helps people overcome hurts, habits and hangups. CR leads participants through a structured recovery process based on the teaching of Jesus, the one true "higher power." Join us as we dive into the Book of Matthew each Sunday morning. Come study the Book of Daniel! This is an in depth bible study where you will learn new study tools, engage the text deeply, and fellowship with other believers. The study workbook promises, "You will have an understanding of your God and your future, which will anchor you in the storm soon to come upon us. When it comes, if you know your God, you will not only be strong, you will also do exploits for Him" (from Precept Upon Precept workbook). Note: This group will meet earlier than the other LifeSchool groups. "Blessed" is a word frequently used in the south. But do we truly know what it means to live the blessed life? Using Robert Morris' book as a guide we will explore how to unlock the rewards of generous living. Join the journey of becoming fully awakened to living an extraordinary life of generosity. A call to men to come together as a band of brothers praying Scripture, going after the Father’s heart. We want to develop a deep desire to respond to our Heavenly Father’s love with free voices of praise and joy. Kingdom Kids will experience worship, games, hands-on-activities and learn more about the Armor of God. Each week kids will learn more about each part of the Armor of God and how to use them to live life the way God wants us to. An experiential training group for those who are interested in small group leadership. We will explore the vision and values for meaningful small group community, as well as tips and tools for fruitful group life: establishing structure, leading effective discussions, encouraging relational connection, resolving problems, and more. If you have ever considered being a small group leader, this training group is for you. Arise gathers at CCC every Sunday at 6 p.m. to connect over a meal, worship and study God's word together. Come worship with us, and hear a message from the Lord. Gatherings are hosted at 6pm, but we also have an open Connect with God meeting at 5pm. Free Food.